If one accepts the proposition that the trial judge has a duty to exclude unreliable experts, a host of concerns inevitably follows. How is a trial judge to assess the scientific or technical adequacy of expert testimony if even a cursory understanding of the issues requires specialized training? Can anyone without such training fully understand the issues and come to a rational conclusion as to their validity? To what degree can the trial judge rely on the expert's own assertions about his or her qualifications? All of these concerns carry heavy weight for in many cases the trial judge is hardly a more qualified assessor of scientific credibility than the jury itself. In this introduction and the papers which follow it, we have laid out some possible answers to the myriad questions raised by judicial gatekeeping. This first paper attempts to establish a historical perspective on gatekeeping in Ohio. The papers which follow it give a more generalized picture of the gatekeeping debate. Ultimately we hope that you find these materials helpful in formulating or fine tuning your own approach to science in the courts. For many years Ohio recognized a Frye-like "general acceptance" test as the proper standard for the admissibility of scientific expert testimony in the state's courts. In 1958 the Ohio Supreme Court approved a rationale quite similar to general acceptance in City of East Cleveland v. Ferell(6) stating that "[t]he type of apparatus purporting to be construed on scientific principles must be accepted as dependable for the proposed purpose by the profession concerned in that branch of science or its related arts. "(7) Later, the Ohio Court of Appeals in State v. Smith(8) would reword this "dependability" threshold to include a more direct reference to Frye general acceptance. The Smith court ruled that the results of a gunshot residue test were admissible only if it were established that "the test was based upon scientific principles which are accepted as dependable for the proposed purpose by the profession concerned in that science or its related art; and has gained general acceptance in the particular field to which it belongs. . . ."(9) The continued validity of this seeming embrace of Frye would soon be called into question, however, by the adoption of the Ohio Rules of Evidence. The 1980 Ohio Rules of Evidence: Frye Codified or Supplanted? The original version of Ohio Rule of Evidence 702 governing admissibility of expert testimony came into effect in 1980 and mirrored Rule 702 of the Federal Rules of Evidence. (10) Unlike their federal counterparts, however, the Ohio Rules of Evidence expressly provide in Rule 102 that the state rules are to be interpreted "to state the common law of Ohio unless the rule clearly indicates that a change is intended and shall not supersede substantive statutory provisions. "(11) As the Frye standard had become part of Ohio common law by 1980, it seemed reasonable to assume that Rule 702 would effectively codify Frye as the dominant state standard. (12) Over time, however, the Ohio courts continued to struggle in defining the relationship between the rules and the common law. Immediately following the promulgation of the Ohio Rules, the state supreme court seemed content to adhere to a general acceptance approach to admissibility. In State v. Thomas(13) the Ohio Supreme Court noted without reference to Rule 702 that expert testimony regarding "battered woman syndrome" was "inadmissible because it is not distinctly related to some science, profession or occupations so as to be beyond the ken of the average lay person. Furthermore, no general acceptance of the expert's particular methodology has been established. "(14) A year later in State v. Williams(15) the Ohio Court of Appeals interpreted Rule 702 as consistent with Frye by stating that "new scientific tests when shown to be relevant and to be generally accepted by the scientific community ought to be admitted into evidence. This is certainly in line with the Ohio Rules of Evidence. . . ."(16) Under Williams, general acceptance would retain its validity in Ohio's courts for at least another six years. In 1988 the Ohio Supreme Court once again called into question its long-standing acceptance of Frye. While refusing to adopt the Frye test for determining the admissibility of hypnotically refreshed memory testimony, the court in State v. Johnston(17) stated that "[i]t has been persuasively argued that the Frye test was silently abolished by the adoption of the Federal Rules of Evidence. "(18) Instead of general acceptance the Johnston court recommended that hypnotically refreshed testimony should be scrutinized by trial courts at a pretrial hearing using a "'totality of the circumstances' test to determine the reliability of the proposed testimony. "(19) While this reliability-based inquiry presaged Daubert and suggested that Ohio had finally eschewed Frye, any reports of general acceptance's death were greatly exaggerated. In State v. Koss(20) the Ohio Supreme Court revisited the issue of whether "battered woman syndrome" testimony should be admissible. (21) To start, the Koss court noted that in Thomas the court had found that at that time "no general acceptance of the expert's particular methodology had been established. "(22) The Koss court reasoned, however, that since the time when Thomas was handed down, "battered woman syndrome" had gained significant credibility in the scientific community such that it might "assist the trier of fact to understand evidence or to determine a fact in issue. "(23) In reaching this conclusion the Koss court relied on three cases from other jurisdictions that had found that "battered woman syndrome" had gained general acceptance within the scientific community. (24) In two of these cases the courts had held Frye hearings to determine whether the testimony had attained general acceptance. (25) Taken together the court's reasoning in Koss suggested that Ohio remained wedded to the Frye general acceptance test despite the rules and Johnston. (26) It would take another four years and a revamping of Rule 702 to settle the question of where general acceptance would fit within the Ohio Rules of Evidence. The "New" Rule 702 and Daubert: Questions Answered. Recently, the Ohio Supreme Court has looked to Daubert for guidance in determining admissibility under the amended version of Rule 702. In Miller v. Bike Athletic Company,(31) the Ohio Supreme Court cited with approval to the four "Daubert reliability factors" while noting that the ultimate touchstone remains "helpfulness to the jury. "(32) As Daubert gains persuasive authority in Ohio's courts the true parameters of reliability will become more readily apparent. As of now, it remains to be seen how exactly Rule 702 will effect admissibility of expert testimony in Ohio. While Ohio has been addressing issues of admissibility in her courts, the federal courts have also been busy fleshing out admissibility under the federal rules and Daubert. In General Electric Co. v. Joiner(33) the U.S. Supreme Court determined that the "abuse of discretion" standard is the proper standard of review for a trial court's decision to admit or exclude expert testimony under Daubert. As Ohio employs a similar abuse of discretion standard for evidentiary rulings,(34) the Court's decision in Joiner may prove helpful to Ohio's appellate courts in ruling on Daubert-based challenges. Upholding a judge's right to exclude given expert testimony on the basis of perceived analytical gaps in the science is an unprecedented broadening of the gatekeeper role. Such a ruling at first seems to run contrary to the "liberal thrust" of the Rules of Evidence as articulated in Daubert. It remains to be seen whether courts will be as deferential when judges exercise their discretion in favor of admissibility of arguably questionable scientific evidence. Whether Joiner will effect Ohio and states like her that have adopted Daubert also remains to be seen. 6. 154 N.E.2d 630 (Ohio 1958). 8. 362 N.E.2d 1239 (Ohio Ct. App. 1976). 9. Smith, 362 N.E.2d at 1241. 10. Both Rules read: "If scientific, technical, or other specialized knowledge will assist the trier of fact to understand the evidence or to determine a fact in issue, a witness qualified as an expert by knowledge, skill, experience, training, or education, may testify thereto in the form of an opinion or otherwise." See Fed R. Evid 702, Ohio Evid. R. 702 (1980). 11. Ohio Evid. R. 102 (1980). 12. See Michael Lepp and Christopher B. McNeil, The Trial Judge as Gatekeeper for Scientific Evidence: Will Ohio Rule of Evidence 102 Frustrate the Ohio Courts' Rule Under Daubert v. Merrell Dow?, 27 Akron L. Rev. 89, 98 (Fall 1993). 13. 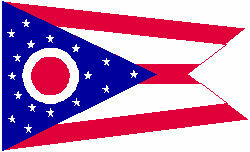 423 N.E.2d 137 (Ohio 1981) overruled by State v. Koss 551 N.E.2d 970 (Ohio 1990). 15. No. CA-1999, 1982 WL2940 (Ohio Ct. App. Feb. 18, 1982), aff'd 466 N.E.2d 779 (Ohio 1983). 17. 529 N.E.2d 898 (Ohio 1988). 18. Id. at 904 n. 5. 19. Id. at 906 (citations omitted). 20. State v. Koss 551 N.E.2d 970 (Ohio 1990). 21. See id. at 974-75. 22. Id. at 972 quoting Thomas, 423 N.E.2d at 140. 24. See Lepp and McNeil, 27 Akron L. Rev. at 101 citing Koss, 551 N.E.2d at 974 citing Smith v. State, 277 S.E.2d 678 (Ga. 1981); State v. Hodges, 716 P.2d 563, 567 (Kan. 1986) overruled by State v. Stewart, 763 P.2d 572 (Kan. 1988); People v. Torres, 488 N.Y.S.2d 358 363 (Sup. Ct. 1985). 25. See Lepp and McNeil, 27 Akron L. Rev. at 101. 27. Ohio Evid. R. 702 (1994). 28. See Ohio Evid. R. 702, July 1, 1994 Staff Note. 31. 687 N.E.2d 735, 740 (Ohio 1998). 33. 118 S. Ct. 512 (1997). 34. See State v. Tomlin, 590 N.E.2d 1253 (Ohio 1992). 35. See id. at 516. 38. See id. citing General Electric Co. v. Joiner, 865 F. Supp., 1310, 1326 (N.D. Ga. 1994). 39. General Electric Co. v. Joiner, 78 F.3d 524, 529 (11th Cir. 1996) (emphasis added). 40. Joiner, 118 S. Ct. at 517 (citations omitted)..
41. Id. at 518 (citations omitted).